The headwaters of the Animas were a hotbed of mining up until the early 1990’s and most of the mines have long been abandoned. These mines have been brewing a toxic stew since closing and nothing was done to clean them up. Even those mines that still have owners did nothing to clean up after pulling millions in wealth from the mines. While the EPA’s contractor might have pulled the trigger on this accident, the “gun” was loaded by a vicious circle of finger-pointing, opposition to Superfund status that would have brought Federal money to bear to assist with cleanup, dwindling agency funding, and complacency. It should be noted that the Gold King and other mines released significant amount of acid mine drainage for years before the spill According to Jim Kuipers, a mining environmental engineer from Montana who has worked on cleanups across the country, the Gold King and other nearby mines the EPA was working on were discharging 200, to 300 gallons per minute before the spill. 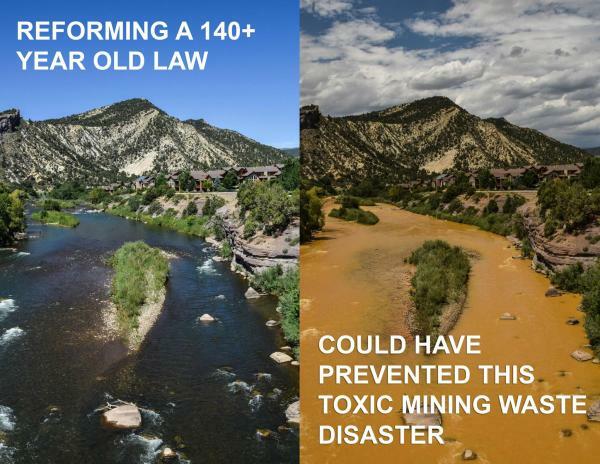 At 200 gallons per minute, 2 million gallons of acid mine drainage would be released in a week. The mines continue to discharge at least that amount after the accident. Since the spill, no one in the mining industry has accepted any blame for the buildup of this tremendous amount of toxic materials. No one in the mining industry has volunteered any resources to help provide a permanent solution. 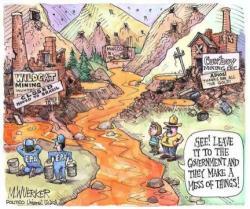 Without funding from the mine owners and the mining industry, cleanup cost will be shoulders by US taxpayers. The problem is not just in Colorado, more than 500,000 abandoned mines litter the Western landscape and the discharge from these mines has polluted more than 40% of the headwaters of western watersheds. The mining industry and government agencies continue to hide behind the skirts of the 1872 mining law, a 143-year-old law that governs hard rock mining on public lands. This law gives public mineral to mining companies for free and required no cleanup after mining has ceased. The law has never been updated. Clearly since the mining industry refuses to voluntarily clean up after itself, the 1872 mining law needs to be reformed to create a fund to provide for cleanup. 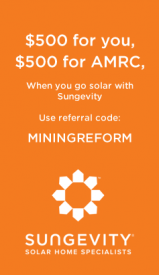 Representative Grijalva from Arizona has introduced HR 963, the Hardrock Mining Reform and Reclamation Act of 2015, a bill earlier this year that would do just that. Please contact your Congressional Representative and ask them to co-sponsor this bill.